The offers for the cards listed in this post have expired, so their links have been removed. Click here for the top current credit card sign up bonuses. Business competition is good for consumers. We’ve been losing airline competition rapidly for the last five years as Northwest, Continental, and US Airways have been folded into Delta, United, and American. That’s been bad for us as fewer airlines means less capacity and fewer award seats. But bank competition has been heating up, which has been excellent for us. Barclaycard now offers five rewards cards that I have or would consider getting. What has Barclaycard been up to? How can you take advantage? It seems like Barclaycard has implemented a step-by-step system to get us to open and use their cards. And at each step, there are a lot of miles in it for us. 1. Limited time sign up bonuses. Many cards have their sign up bonuses go up and down in value to some extent, but Barclaycard’s sign up bonus fluctuations have been extreme. The Lufthansa Miles & More World MasterCard twice went from 20k miles to 50k miles last year. Both times the card went from afterthought to must have. The The Frontier Airlines World MasterCard® went from 35k to 40k. It’s not a huge difference, but I wouldn’t spit on 5k Frontier miles. 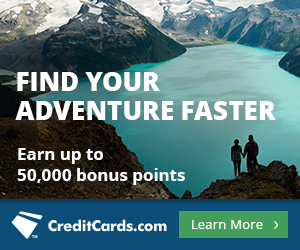 The US Airways card just bumped its sign up bonus to 40k even. More details here. In all these cases, the bumps were not permanent, but did redound to our benefit as miles collectors. If you stay on top of Barclaycard bonuses, you can snag the increased offers. 2. Bonus for meeting an ongoing minimum spending requirement. All credit card companies attempt to get us into the habit of using their cards by tying sign up bonuses to minimum spending requirements. They hope that even after meeting the requirement, we’ll be so used to pulling out the card that we’ll continue to do so. Barclaycard has gone a step farther and offered many account holders a second ongoing minimum spending requirement and bonus a few months after they’ve opened cards. 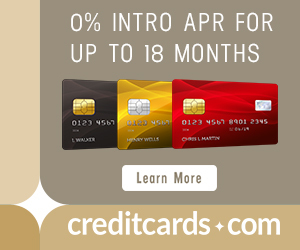 I’ve personally gotten the targeted offer by email and snail mail for 15k bonus miles after spending $750 per month for three straight months on my Lufthansa Miles & More World MasterCard (see here) and US Airways Premier World MasterCard (see here). I think the theory behind these bonuses is to prolong the time period during which we use the cards for everyday spending in hopes that inertia will make the card our permanent every day card. Barclaycard has also been incredibly active with temporary category bonuses. I’ve documented up to 7x category bonuses offered to select Arrival cardholders. The category bonus lasted for three months at gas stations, restaurants, and department stores. A similar three month category bonus was offered to cardholders of the Lufthansa Miles & More World MasterCard who were offered 3x to 5x on select purchases. Even the US Airways Premier World MasterCard got in on the act with a commentor saying he’d been offered 3x for three months on select categories. As I’ve opined about category bonuses, banks offer them in categories where people believe they spend more than they actually do to make the value proposition seem even better than it is. (Cf. avialability heuristic.) Most people overestimate the value of category bonuses. Barcalycard capped these category bonuses at 2,500 bonus miles, but that’s $30 to $50 in free travel for spending we’d already be doing. The last thing I’ve noticed with Barclaycard is a sharp increase in reports of people not being approved for multiple cards. Many people who have one or two Barclaycards that they use sparingly if at all have reported being told when they call the reconsideration line on a new application that they will not be approved. It seems like the old “carrot and stick” ploy. On the one hand, we are offered the great rewards for continuing use of our cards that I discussed above. On the other, if we don’t take advantage, we can’t get new cards. 2. We all benefit from the pressure these offers put on other banks to compete with equally compelling offers. Have you noticed these phenomena in your dealings with Barclaycard? Are other issuers offering you similar deals? Have you used these new Barclaycard tactics yo your advantage to score more free travel? Previous articleWhat Would the Perfect Marriage of the American Airlines and US Airways Frequent Flyer Programs Look Like? I was denied an Arrival card after having 2 US Airways cards. I put some spend on both cards and had recently paid the annual fee on the first one so it wasn’t like I was getting them and then cancelling after a year. They stated too many recent cards/inquires and I’m not sure more spend on the cards would have mattered. Yes, beyond wanting to see spending on your other Barclaycards, they also shy away from those with many recent inquiries in my experience. I never got offered additional bonuses on my Arrival or Lufthansa card, and recently got denied for the USAirways card. If that’s how they are, I’ll just cancel the cards and reapply. I can easily get an average 2x or more out of my Chase or Amex cards and use those points as cash, so Arrival doesn’t offer any benefits. They seem to have problems where other issuers are doing just fine. They can’t seem to properly handle customers with 2+ cards, and provide excuses for why their computers get confused and have trouble analyzing the risk for those people. Chase and Amex never have that problem, and I have 5-6 cards with each of them. Chase points are worth 1.25 cents when used as cash to pay for travel, instead of a never ending trap of ever smaller 10% cashbacks that you can never fully cash out. And Chase points at least have an option of being used for airlines or hotels when a valuable redemption comes up. Arrival is good for the initial bonus only for anyone who’s savvy about taking advantage of spending bonus categories with other credit cards. Thanks for linking to that article. Fascinating stuff. …also think about how much cashback you can really generate from regular spending. If you spend $20k a year by yourself, that’s only a $420 cashback. Just a blip on the radar compared to all the other bonuses you can put your spending towards. Not sure what this means, if they are suggesting I get 3 miles per dollar in these category or 2. Either way, 1250 in spend is easy to do. 3 total, so $1,250 in spending maxes it out. I’m debating on getting the Frontier card. I’m not sure if it is worth it since I believe the only flight from the NY area is to Chicago and tix normally NY- > Chicago are relatively inexpensive. Thoughts? I wouldn’t get it for that trip. You should get a card that earns British Airways Avios. It’s only 4,500 Avios each direction from New York to Chicago on American Airlines flights. The British Airways card has a current 50k bonus on it. That’s more than 5 roundtrips! 7,500…. ewr-ord is 719 miles, lga and jfk slightly more. Still decent. Doh! Thanks for the correction. So it’s still 3+ roundtrips, which is the best deal around. grocery store, utilities, movie theater. Must earn between Jan 1 and March 13, 2013. On which card? US Airways? I fit the profile of a “bad Barclay’s customer”. I put $7 spend on my US Airways card to earn the 35,000 mile bonus (since I find UA miles, Southwest points, and several hotel currencies are more valuable to me than US miles). I never received any bonus offers for ongoing spend, and would expect to be rejected if I applied for another Barclay’s card. What’s the Barclay’s policy on re-applying once I have cancelled? I killed my USAir Div Miles card in October. Should I wait a year before re-applying? And will they deny me the bonus because I already got it on the first card that I just cancelled? I’ve gotten it before after just 3 months, but your kilometrage may vary. I got my last US Air card 6 days after canceling the previous one… but I guess it’s all YMMV. Couple of questions – at least one related to this post. I could swear that I read a comment from a reader (another post, I guess, but I can’t find it) about reading in the fine print of his Barclay card that if you cancel the card, you lose the points you earned with it, so if you can’t get more than one Barclay card, you’re stuck with 40,000 at a time (or whatever the current bonus is). I can’t imagine that – is this true? Second, I’m looking for this post http://milevalue.com/free-first-class-next-month-best-practices-for-your-first-app-o-rama/ but no link seems to work for it. I’m not looking for the list of best credit card offers – I just want to reread the rundown of best practices. Third – since you mention Barclay doesn’t like a lot of recent inquiries – do you ever get outright denied, Scott? I mean, denied and no reconsideration, no transferring of credit? Sorry if I’m being nosy (you don’t have to answer, of course), I’m just trying to figure out what others could be doing wrong. I would think you have several recent inquiries (unless the 91 days means they are no longer considered “recent”) that Barclay wouldn’t appreciate. As with all bank point cards, you have to redeem your Arrival miles before cancelling the card. I’ve been denied for a US Bank Club Carlson personal (later got business) and Citi AA business (got it a year later.) So I have a near perfect record on a few dozen apps. But what about with Barclay. And is there a way to get back in their good graces? Would opening a bank account with them help? Or will they just forever look at all the other accounts I’ve opened and say no way? Has anyone had success getting back in Barclay’s good graces?